Patricia Horton is a hard working professional who takes her campaigning seriously. She circulated Nominating Petitions to run against Anna Valencia, the City Clerk whom Mayor Rahm Emanuel appointed. Together, Rahm, House Speaker Madigan, Alderman Ed Burke, and Alderman Solis, unscrupulously supported Anna’s efforts to knock Challengers Pat Horton and Eilizabeth “Betty” Arias-Ibarra off the ballot. Horton was disgusted, but not defeated. She quickly turned to Attorney Frank Avila and said, “This is outrageous. It’s unfair. I want to appeal this decision.” Attorney Avila will file a motion to appeal that ruling with the Illinois Court of Appeals on Wednesday. The fact that they also knocked latina Betty Ibarra off the ballot makes it crystal clear that this is not just about race. The City Clerk is the 2nd highest ranking official in Chicago Municipal Government. The Clerk keeps a record of all official proceedings. The Democrat Machine fights desperately to protect that bastion of information from outsiders. They don’t want an independent City Clerk who will blow the whistle on them. The same is true for the office of the Cook County Assessor. The City clerk and Assessor offices house the bones which evidence the Machine’s most egregious wrongdoing. If there is a savings grace, irrespective of the decision of the higher court, Pat Horton’s name will remain on the ballot. 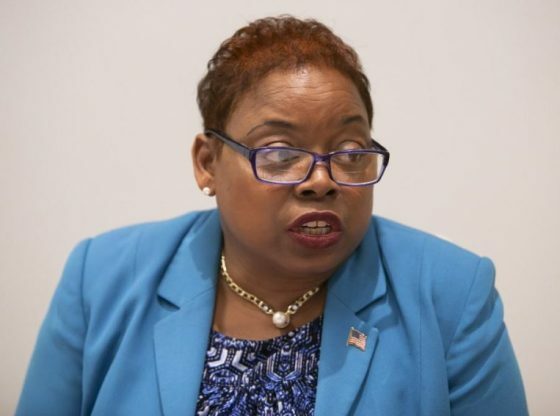 Although the Chicago Board of Elections de-certified her candidacy, because of her pending court case and time constraints, they were forced to have Pat’s name and Betty’s name printed on the ballots. However, any votes cast in their favor will not be counted. Write In Candidate Dock Walls, Anna Valencia could fall short of that mark. If so, she would have to face Dock Walls in a runoff. In that case, both of their names would appear on the ballot.